The 2018 conference features a time to learn and network, as well as a time to enjoy. It’s never too early to start planning for your conference experiences. Below please find the conference agenda and schedule overview, as well as special event highlights. Keep current on the events and activities of the 2018 EMBAC Conference. The schedule overview offers a quick look at the times and locations for EMBAC Conference sessions and activities. Open the PDF below to view the full agenda, including all plenary speakers, concurrent session titles and presenters, events, and times and locations. Remember, changes do happen, and EMBAC will continue to update the schedule and agenda throughout the summer and fall. Enjoy an important part of Madrid’s cultural history with colleagues throughout the world at the 2018 EMBAC Conference special event. The event takes place at one of Madrid’s most treasured landmarks – the Círculo de Bellas Artes, a space for culture founded by a group of artists in 1880. 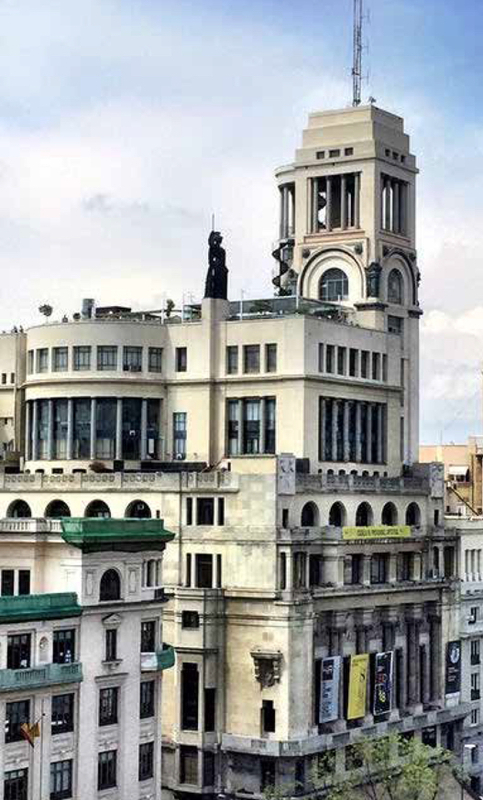 Designed by Antonio Palacios, one of Spain’s most influential architects in the last century, the building is one of Madrid’s most beautiful classic buildings of that time. Famous Spanish playwrights and painters, including Pablo Picasso, studied there. In addition to the lovely historic venue, the event includes an array of the local cuisine, enough food for a light dinner, and a special performance of flamenco dancing known for its emotional intensity and artistic expression. Make the most of your visit to Madrid by taking part in the EMBAC special event: Your conference registration form includes a section where you can register for this exciting evening.